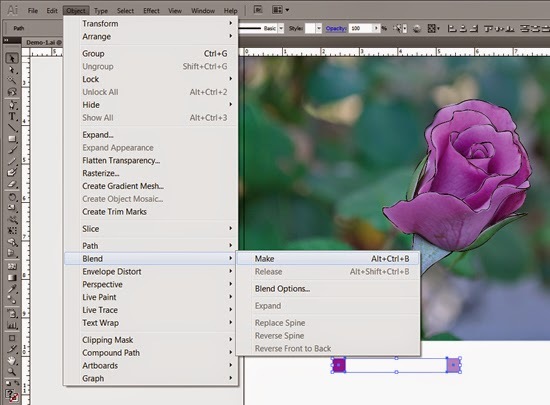 CreatorMe: #DSPSblogtour : How To Use Adobe Illustrator Blend Tool. 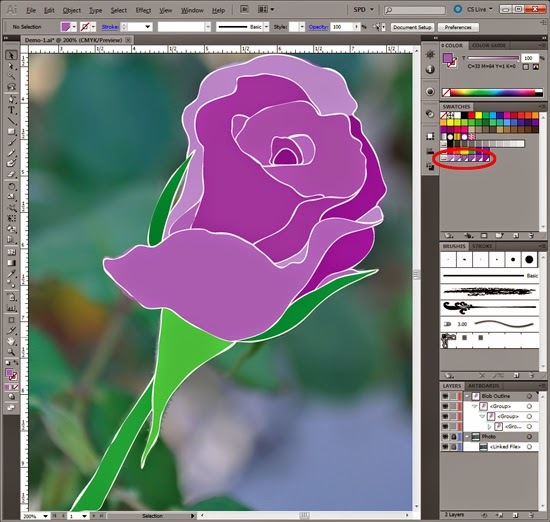 #DSPSblogtour : How To Use Adobe Illustrator Blend Tool. 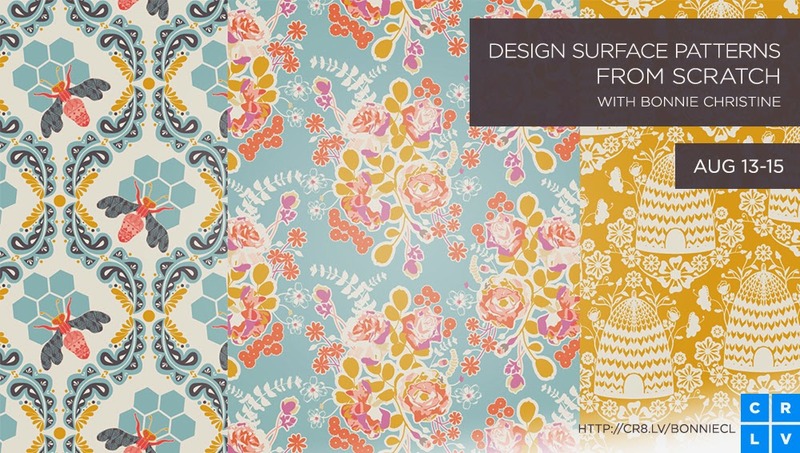 Welcome to this stop of the Designing Surface Patterns From Scratch blog tour! 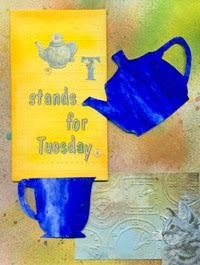 If you missed the blog tour yesterday here's Nika Nartinez. 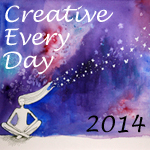 Don't miss tomorrow's blog tour with Pattie Sokol. 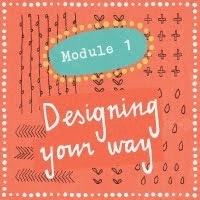 This blog tour sprouted from Bonnie Christine’s Design Surface Patterns From Scratch at Creativelive . I watched Bonnie's class live and I thought I already know enough about Adobe Illustrator to do what I needed. But what an eye opener watching Bonnie go through her process and the use of each tool as she created her designs and patterns. I was frantically taking notes because I watched it live. But no worries because it is still available for purchase at Creativelive. Bonnie was so open with sharing her knowledge. Talk about an amazing person and teacher!!! One of the tools that Bonnie showed us was the blob tool (which is now one of my favorites). She showed us how to outline the element or motif that you like from a photo, then simplify or clean up the lines and then fill in with colors. You can go over all those steps again by watching her video so I am not going to repeat them and only going to share how I use the Blend tool to create my own gradient color swatches to fill in the colors. 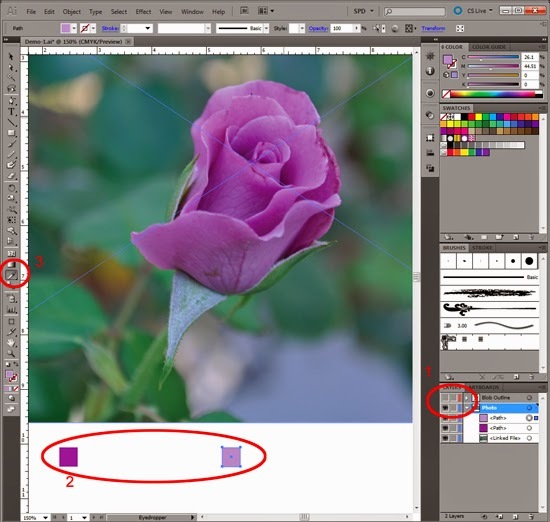 In this case I am using one of my own photos (no need to worry about copyright) of a rose for demonstration purpose. So after outlining my rose and cleaning up my lines, this is what my rose looks like. 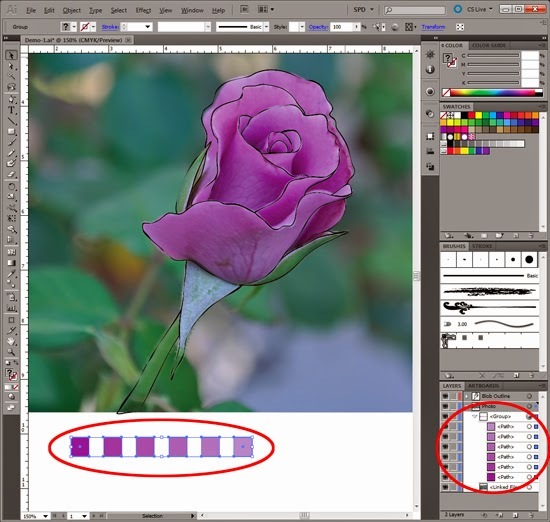 Now I turn off the visibility of the flower outline (#1 in the image below) and turn the visibility of the image back to 100%. 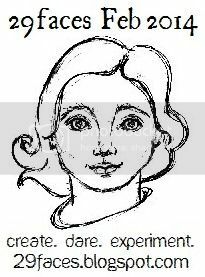 If you forget to do this, when you use the eye dropper in the next step, the color that is picked up will be a very light shade of the color. Now create a couple of squares and space them apart (#2 in the image below). Select one square and use the eye dropper tool (#3 in the image below) to fill the square with the darkest color that you would like for your flower. Then select the second square and fill it with the lightest color you like. 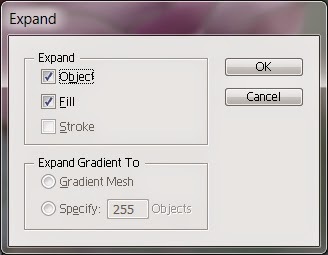 Select Objects->Blend->Blend Options ... and the Blend Options window will appear (see the arrow pointing at the options window below). 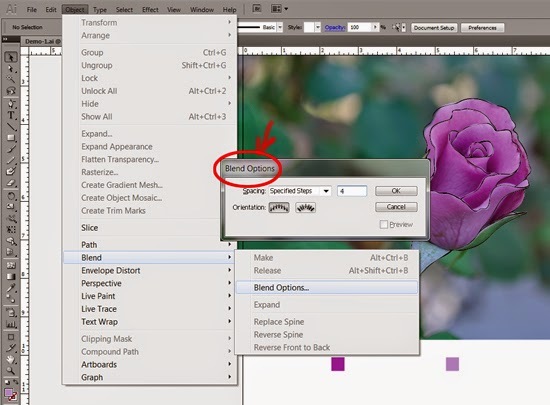 In the Blend Options window, click on the "Spacing:" drop down arrow and select "Specified Steps". In the box next to Spacing, enter the number of steps. The number of steps is the total number of colors you would ultimately want minus 2. So if you want to have 6 colors, you will enter 4 in the box (always minus 2 from the total number of colors you want) and click OK. Again select Objects->Blend ... but this time select Make. If you look at the LAYERS, there are now 3 paths. Two are the squares with the darkest and the lightest colored squares. The new path (see Blend Path below) is the blend of the 4 new squares. Select Object->Expand ... and the Expand window will appear (see below) and click OK.
After expanding, each color is its own path but they are all in a Group. From the swatch panel's top right corner, click and select to create a new color group. The group of squares has served it's purpose and I usually just delete them. 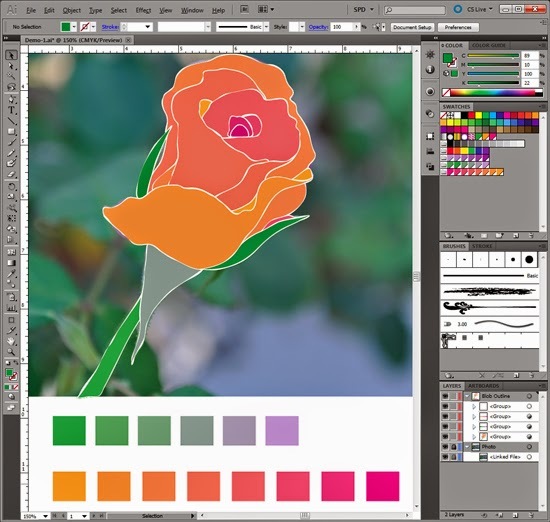 Now that the colors are in the swatches panel, select the element or flower in my case and color to your heart's content. 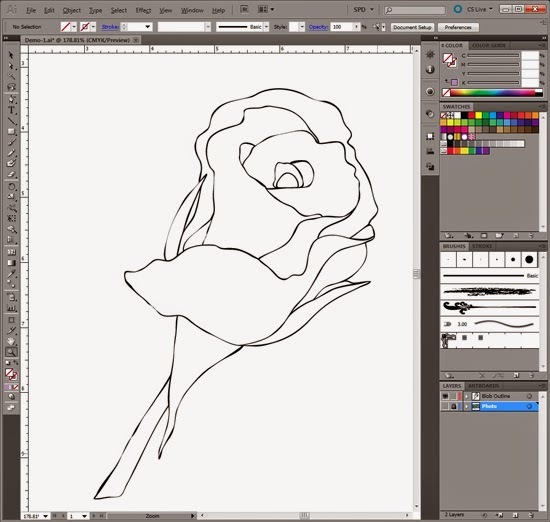 I use the Live Paint Bucket tool and Bonnie explained how to do that too in her video. If 6 colors is not enough, just follow the same steps and you can create as many new color groups you like. I am sure you can pick and create much better groups than I can. So follow the steps above and go wild! And just when you think that's all ... there is more! 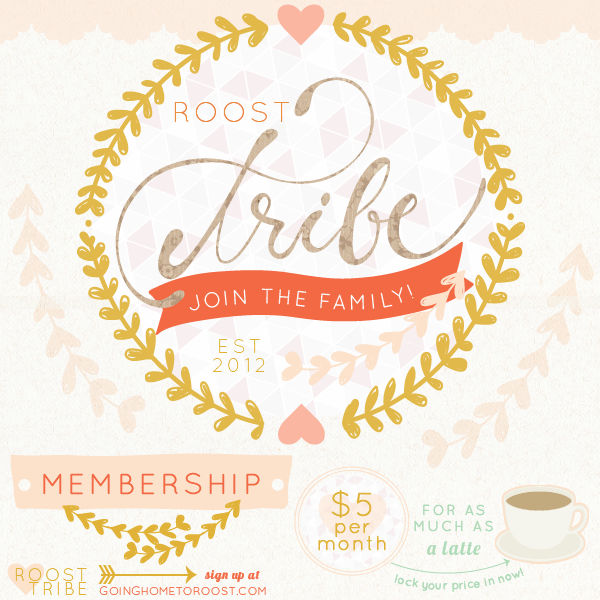 Hop on over to Bonnie's site, goinghometoroost and join in her Roost Tribe. and even better, get the 1st month free. It's very affordable for what you get. Best of all you will be part of a family!